IS SANDRA DOWLING AN INNOCENT WOMAN? Home/Feature Story Phoenix Magazine/IS SANDRA DOWLING AN INNOCENT WOMAN? The County Schools Superintendent is charged with ripping off the homeless children of Downtown’s Pappas School, but a PHOENIX magazine investigation turns up new evidence that suggests it isn’t true. Sandra Dowling sounds like such a witch. You couldn’t read her name in the newspaper or hear it on television in the past year without coming away believing she is the worst kind of corrupt politician – that she’s the elected Superintendent of County Schools who ripped off schoolchildren for her own personal gain. And not any schoolchildren, mind you, but the most vulnerable schoolchildren in the entire county: homeless children educated at the Thomas J. Pappas School in Downtown Phoenix. This school, named for the late Republican state chairman who was liked and admired by those on both sides of the political aisle, had become the popular charity for other schoolchildren throughout the Valley, had attracted the patronage of firefighters and journalists, and had strong support from scores of caring businesses. Arizona also put its reputation on the line to save this school when some people said putting homeless kids in a separate school was tantamount to segregating black schoolchildren in the South. Arizona’s Congressional delegation saved the day on that one, getting a special exemption for this special school. And through it all stood Sandra Dowling, popular enough to get re-elected five times since 1988. She’d been strong and courageous, not only in creating Pappas in 1991, but in defending it and keeping it going and expanding it onto a second campus in Tempe. So, it was a shock that the front-page headline in The Arizona Republic on November 21, 2006, read: “Dowling hit with 25 counts; Superintendent is indicted in theft, fraud.” The news that a grand jury charged her with enough crimes to send her to prison for decades was so explosive that it was announced at a joint press conference with Sheriff Joe Arpaio, whose office had spent 11 months investigating Dowling, and Attorney General Terry Goddard, whose office would prosecute the case. “This is a sad and serious breach of trust that’s being alleged here,” Goddard said about the grand jury indictment. News reports from that press conference said Dowling was indicted for “theft, misuse of public money, fraud and conflict of interest.” Specifically, the indictments said she stole some $1.8 million from the homeless kids of Pappas School; that she diverted an $89,000 bequeathal to Pappas School for “her private foundation;” that she hired her own adult children with Pappas funds; and that she received a kickback from a real estate deal on excess school property sold through the real estate firm where she has her brokerage license. To top it off, the charges said she hired expensive lobbyists in Washington, D.C. – to the tune of $200,000 – not for the benefit of Pappas Schools, but to get herself a federal appointment with the Bush Administration. In short, it was hard to imagine a scheme that Sandra Dowling hadn’t masterminded to enrich herself, based on the allegations. The media in Phoenix have been universal in trying, convicting and condemning Sandra Dowling, long before she is scheduled to go to trial next year. It’s no wonder most people in Arizona believe this corrupt woman deserves to go to prison for all the awful things she allegedly did to those poor, homeless children. And should she be convicted of any of these charges, her attorney speculates her sentence could be for at least 20 to 30 years. So it’s shocking to think that there’s another side to the story. A careful review by PHOENIX magazine of all the public court documents in this case – hundreds of pages of charges and countercharges – reveals a different story than the one that has been in the news for the past year. The review shows that even the State of Arizona, which brought these charges against Dowling, concedes in court that Dowling didn’t pocket the $1.8 million; that the $89,000 bequeathal is safe; that there is no state law prohibiting her from hiring her adult children; and that she got no kickback from the sale of school property. The state also admits, when pressed by a judge, that there’s evidence to counter the charge that she hired lobbyists for her own use – evidence never presented to the grand jury that indicted her. So you have to ask, is Sandra Dowling an innocent woman? And if so, what is going on here? And could this have anything to do with two blocks of expensive Downtown real estate now devoted to a school for homeless children? It should be noted upfront that 50-year-old Sandra Dowling can be a bit, um, difficult. A word that rhymes with “witch” is sometimes used to describe her. Of course, she’s an ex-Marine, which explains a lot. She can be arrogant and dismissive. She can be obstinate and stubborn. She fears no one and doesn’t seem to acknowledge anyone’s power but her own, as evidenced by the intense battle she and the Maricopa County Board of Supervisors have been entrenched in for years. But no one can deny she is as fierce as a mother tiger when it comes to the children of the Thomas J. Pappas School. That’s one reason the indictments made such little sense to those who have worked with her or watched her run the district for almost two decades. This certainly wasn’t a job she sought to get rich by; her annual pay was $54,000, much less than some of the underlings who worked for her. She had battled cancer in recent years and stayed on the job the entire time. She was an articulate and energetic advocate for children who, prior to her, had no voice. Yes, she had trouble staying within her budget – she was in constant dispute with the Maricopa County Board of Supervisors about “overspending.” Unlike other school districts in the county, Pappas is an “accommodation” district that cannot tax for funds and instead must rely on per-pupil state money, gifts and grants. Maricopa County is legally obligated to make up any shortfall, and there always seemed to be a shortfall. Dowling always said she spent what it took to educate the children, and that was that, but she had no friends on the board of supervisors. When the indictments came down, the board’s sentiment seemed to be “it’s about time.” Supervisor Don Stapley quickly wrote a “My Turn” column in The Arizona Republic, saying, “I am calling on Sandra Dowling to step down and let qualified educators with financial expertise clean up the mess she has created. She needs to stop blaming others for her misdeeds.” Last December, a month after the indictments were announced, Dowling stepped aside from the operation of Pappas Schools, and a Superior Court judge appointed a three-member panel of educators to oversee the schools to get their finances in order and keep them operating. Meanwhile, the board of supervisors asked the judge to close Pappas Schools entirely. The judge rejected that request, and to this day, the panel is in charge of all Pappas decisions. While the court was putting this new system in place, dedicated teachers and administrators at the school went without pay for weeks. Many of them struggled financially but refused to abandon the school or the students. Since then, several newspaper and television stories have raised doubt about the quality of education at Pappas Schools. Whether Dowling did a good job educating those children is an open question. What the court system wants to know is whether or not she robbed the district and deserves to wear the orange jumpsuit of Arizona’s Perryville Prison. By anybody’s book, $1.8 million is a lot of money, and when it’s meant to support the educational needs of homeless children, it’s a fortune. So the first major charge against Dowling – that she stole $1.8 million of indirect cost funds from the Pappas children – sets the stage for the entire case. (Indirect costs are the tail end of federal grants. When grants are given, a percentage is kept aside, and when the grant’s goals are met, that leftover money is made available.) In fact, the first 10 counts against her all focus on this $1.8 million: One count charges her with theft of the money; the other nine counts represent the nine times this same money was dispersed to Pappas. The actual wording of the “theft” charge says she “transferred this money to [the Pappas district] and used it for whatever proper or improper purpose she chose.” Here’s the bottom line on these 10 charges: They have nothing to do with Sandra Dowling pocketing this money as her own. They have everything to do with who has authority to disperse this money to the Pappas School, which is where every cent of the $1.8 million went. Dowling says she has authority to do this on her own; the Maricopa County Board of Supervisors claims that it must first approve transfer of this money from the indirect costs fund. But the record shows there is no written policy or procedure giving the board this sole authority. In fact, a review of other Arizona county policies shows that most do not require board approval. Even the attorney general’s office admits in court papers that this is a fight over authority, not over Sandra Dowling stealing the $1.8 million for her personal use, and concedes there is no written requirement that the board approve the funds. Dowling and the board of supervisors have been fighting over this issue for years. In fact, in September 2006, two months before the criminal charges were brought against her, the board sued her in civil court, claiming she was overstepping her authority by transferring the money to Pappas on her own. She countersued, contending the board has no such authority and that the law clearly states she does. In late June of this year, two days before board supervisors were scheduled to give depositions in the case, they directed their attorneys to drop the civil suit against Dowling. Mehrens contends the entire case against Dowling is a dogfight over power. As Mehrens told Judge Burke during the May hearing, “Dr. Dowling got seriously crossways with the board of supervisors, specifically with Supervisor Don Stapley. Mr. Stapley decided to show Dr. Dowling who was running the show and he went to the sheriff. The sheriff’s instructions were to ‘get’ Dr. Dowling.” Mehrens offers as proof this verbatim exchange from the investigation, which is documented in the court record: On January 25, 2006, Maricopa County Deputy Budget Director Brian Hushek told Sergeant Seagraves of the sheriff’s office what the board of supervisors was after: “Sandra’s gonna need to come begging to the board to bail her out and that’s what we really want to have happen. Seagraves: You want that? Hushek: We want that to happen. Seagraves: Okay. Hushek: We want Sandra to come begging on her hands and knees, ‘please, please, please help me out.’” Mehrens advances the “get Sandra” theory by pointing out that the Pappas school official who actually made all nine disbursements from the indirect funds is a former member of the county board of supervisors, Ben Arredondo (who has been publicly praised by Supervisor Stapley). “Ben thought these transfers were legal. Sandra thought these transfers were legal. But Ben wasn’t indicted for transferring this money,” Mehrens points out. “Ben is as innocent of moving that money as Sandra Dowling is,” he told Judge Burke. Judge Burke, a distinguished, white-haired gentleman who has the bearings of a man who knows he’s the judge, found Mehrens’ arguments compelling. He asked Assistant Attorney General Noyes why the grand jury wasn’t told there is considerable doubt about who has authority over these funds. He foreshadowed his eventual ruling by noting that these 10 counts were puzzling: “To charge someone with criminal intent because they didn’t get approval, but you have no place in writing that says you have to get board approval….” Judge Burke ruled that all 10 charges of “theft and misuse of public money” surrounding this $1.8 million must be reheard by the grand jury or else be dismissed. As of press time, a new grand jury had not yet convened to reconsider these charges. Then there’s the charges about transferring an $89,000 bequeathal to the Pappas School for Dowling’s “personal foundation.” The indictment clearly implies she diverted this money for her own private use. The foundation in question is called the Schoolhouse Foundation, and it has only one purpose: to solicit money for the Pappas Schools. As school officials have stated in court papers, “every dime” of the bequeathal is still in the Schoolhouse Foundation Fund, waiting to be used for the benefit of Pappas Schools. Besides Dowling, two other school officials were criminally indicted over this fund: Marc Fraiser and Rexanne Meredith, who both transferred money into the Schoolhouse Fund. Both have said they thought it was the proper vehicle for this contribution. The record shows Fraiser told sheriff’s investigators he and Meredith made the transfer and Dowling didn’t even know about it. It was so routine, they say, there was no need to inform the superintendent. The charges, however, still stand. Another charge contends Dowling illegally hired her adult children to work for the Pappas Schools. “There is no law that prohibits her from hiring her kids, although it’s a stupid thing to do,” Mehrens says. The State of Arizona concedes he’s right. As long as there’s open competition, anyone can compete for public jobs. In this case, it was Sandra’s son, Dennis Dowling, who bid on a job for his new landscaping business. The state contends the bid was “rigged” to assure he got the job. It claims he got a copy of a competitor’s bid, a charge he denies. Judge Burke also threw these charges back to the grand jury, saying the evidence it saw might have been “misleading.” At one point, investigators staged a “confrontation call” with Dennis Dowling, taping it to gain evidence and, hopefully, get him to admit wrongdoing over the contracts. The call did no such thing; instead, it showed him repeatedly denying any wrongdoing. Judge Burke noted that this confrontation call should have been brought to the attention of the grand jury. “In my experience in criminal trials, when confrontation call results are exculpatory, they should be trotted out front and center,” the judge told Noyes. If the case goes back to the grand jury – a decision to be made by the U.S. Attorney’s office that now has the case – that call will be part of what the grand jury hears. On another count, the state now concedes Dowling did not get a “kickback” on the sale of excess school property. The land was sold by a realtor named John Dyer – the only person who responded to a “request for proposal” to sell the land. Dyer is affiliated with a large conglomerate of Realtors know as Dan Schwartz Realty. 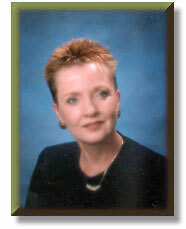 Sandra Dowling also has her real estate license through this group. As court records show, the sale price of the land was never going to benefit Pappas Schools because it had to go to the state. But sheriff’s investigators claimed that the 10 percent commission Dyer made on the sale was “taking money away from the Pappas kids,” Mehrens notes. Judge Burke expressed considerable concern about this issue, although he didn’t demand the grand jury rehear it. “There is no evidence there was any benefit to Dr. Dowling from selling this property,” he said to Noyes. “Don’t you think it was important for the grand jury to know she didn’t benefit?” Noyes finally admitted to the judge there was “no evidence she got any money from it.” At one point, Noyes tried to deflect the judge’s barrage of concerns by suggesting some were “minutia.” Judge Burke responded: “It doesn’t sound like minutia to me.” Although Judge Burke didn’t demand the grand jury reconsider the charge that Dowling improperly used publicly paid lobbyists for personal gain, his questions during the hearing showed he was worried about these charges. Five of the indictments against her all focus on the same transaction with the lobbying firm. These charges stem from the fight to save the Pappas School against charges that it was segregated and discriminatory. Dowling got lobbyists to work for free during that fight, which led to a special exemption for the Pappas School. After that fight, Dowling’s office issued a “request for proposal” for a lobbyist to work on getting federal grants for all the county schools under her wing, including Pappas. Two firms responded, with the contract going to the Washington, D.C., firm of Strategic Impact Inc., which had done pro bono work for Pappas in the past. The contract paid $9,000 a month for a total of $207,000. The firm helped get millions of dollars in grants, including two grants of $250,000 each for Pappas, records show. One charge says that Dowling then used the lobbying firm to help her seek employment with the Bush Administration. Specifically, it claims she made up a trip to a Washington, D.C., education conference that was in reality a job-seeking venture. Mehrens maintains Dowling was an invited guest of the conference whose expenses were being paid and that the job interview she attended during the conference had nothing to do with the lobbyists. The lobbyists also denied to sheriff’s investigators that they had anything to do with the trip and said they never sought federal employment for Dowling. Investigators advanced those charges anyway, even though they had failed to talk to the one person who did claim credit for the job interview. Robin Read is the executive director of the National Foundation for Women Legislators based in D.C. She told Mehrens – and said she would have been happy to tell investigators if they had asked – that she helps women better themselves in politics and it was she who got Sandra the interviews with the Bush Administration. Even more disturbing is what Mehrens learned on April 24, 2007, when he called Bruce Hunter, associate executive director of a national education association in Arlington, Virginia, that had sponsored the conference in question. Hunter told Mehrens that he had invited Dowling to attend the conference and “absolutely” offered to reimburse all her expenses. Hunter further said he had told all of this to a “policewoman” from Arizona in 2006 (presumably, someone from the sheriff’s investigation). Mehrens says that not only was the grand jury not told about Hunter’s statements, it was told the exact opposite. Sheriff’s Lieutenant Tucker, in fact, testified to the grand jury that Dowling “was not an invited attendee” and that the host “would not reimburse expenses.” Judge Burke wanted to know why the grand jury was not told about this, although he didn’t send back these charges. PHOENIX magazine sought additional comments from Noyes after the court hearing and received an e-mail saying, “I respectfully decline to make any out-of-court comment,” adding that the “record” reflects both what he said and the state’s position. PM e-mailed back, noting we had read all the court documents but couldn’t find convincing answers in his court filings. Our e-mail noted that Mehrens “artfully suggests the AG’s office was snookered by a dishonest investigation.” We set out some of the concerns that have been detailed in this article, noting, “This case raises some very serious and embarrassing questions.” We did not get a response. Sandra Dowling isn’t talking out of court about any of this either – not because she doesn’t want to, but because Mehrens won’t let her. But those close to her say she has definite ideas about why all of this is happening. And PHOENIX magazine found she is not alone in her suspicions. Others from Pappas School, all wanting to speak off the record, say they’re convinced there’s a “vicious and greedy” reason for this mess. They told PM they are convinced Downtown interests want the land that Pappas School now occupies. One longtime Pappas official said, “They all but admitted it in the newspaper.” What they see as an “admission” was the outline of a “dream” plan for Downtown that stretched from Seventh Avenue to Seventh Street, from Washington and Jefferson streets up to McDowell Road. Two generous blocks of that land, owned by the Maricopa County Board of Supervisors, are currently devoted to Pappas School. From any vantage point, one can see this land’s redevelopment potential. It’s no secret the board of supervisors isn’t happy with Pappas School. It repeatedly tried to shut the school down, even as it had national and community support. Most believe the board still is trying to scuttle the school and put the homeless students into regular county classes. Some supervisors have publicly expressed concerns about the cost of educating the Pappas kids in a separate school; others are opposed to the idea of homeless kids being “segregated” from other children. If Pappas School no longer existed in Downtown Phoenix, many people believe homeless children here wouldn’t go to school at all. One reason this school is so popular, supporters note, is that none of the children are harassed or bullied, as is common with homeless children who attend regular schools. If Pappas School no longer existed in Downtown Phoenix, there would be two choice blocks available for redevelopment, possibly into some lucrative, snazzy project. This might just be an incredible coincidence – at the very moment Downtown has become “hot” for development – but Dowling and her supporters believe it’s a factor in what’s happening to her. In the meantime, Sandra Dowling continues to do her job. She remains the elected county school superintendent and has 57 other schools under her jurisdiction – she only relinquished control of Pappas. She has been a free woman since the indictments, as the case goes through its various stages. She’s currently waiting on the U.S. Attorney’s Office, which is now in charge of the case and at press time was still reviewing the evidence. If it decides to proceed with the case against her, there will be another grand jury hearing. That panel could either reinstate or drop the charges Judge Burke sent back. Meanwhile, Mehrens has more appeals up his sleeve. Someday, maybe next year, a jury may hear all this evidence and make the final decision: Is Sandra Dowling an innocent woman, or a witch who ripped off homeless schoolchildren?